Looking for company Christmas card ideas? Let Hallmark help! Browse our selection of business Christmas cards that honor the religious importance of Christmas and celebrates the festive excitement of the holiday. Remember, with Hallmark Business Connections, you can shop for bulk Christmas cards in minimum amounts of 25. Looking for a holiday card that doesn’t specifically celebrate Christmas? You’ll love our more general company holiday cards and our holiday customized cover cards. 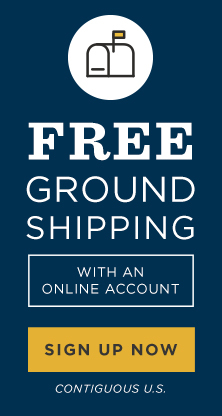 Don’t forget: with a Hallmark Business Connections account, you can order samples and receive free ground shipping. Sign up today! When a thoughtful, authentic Christmas card comes from a business, clients notice. Deliver a real message in your company Christmas card this year. For the most memorable impression, consider sending a premium business Christmas card to stand out from the competition. Do your employees celebrate Christmas? 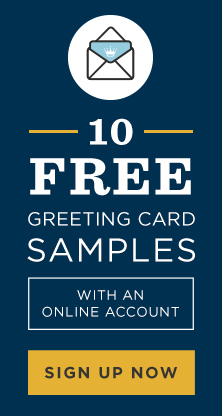 Let us help you send your corporate Christmas card the Hallmark way. With just a few clicks, you can pick, personalize and send your company Christmas card to all of your employees. Our premium Christmas cards from Hallmark Signature collection helps to express your disctinctly professional style. For Hispanic customers and employees, we offer a unique line of Spanish business Christmas cards from our VIDA collection. These Christmas cards include culturally-inspired designs and Spanish sentiments. Looking for the right corporate Christmas card design? Hallmark Business Connections is the only place where you can add a personal touch to Hallmark Christmas cards. 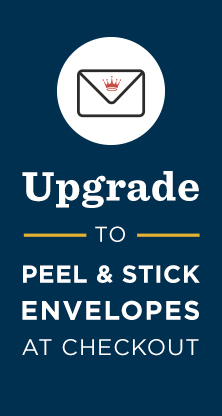 Personalization options may vary by card. If you're looking for more general business holiday cards, be sure to shop in our business holiday card section. Or, if your employees and customers celebrate Hanukkah, be sure to send one of our business Hanukkah cards from Tree of Life. The most successful companies connect with employees and customers beyond the holidays! Be sure to browse business holiday cards, sympathy cards, business thank-you cards, care and concern cards and other business greeting cards infused with the very best Hallmark quality you want representing your brand.